Free Shipping is available up from 1,500 Kč! (Czechia) Spend 1,500 Kč more and get Free Shipping! M-Style Moto lock with alarmM-Style alarm disc lock protects your beloved motorcycle bike .. Please choose diameter of the screw M6 – Yamaha, ApriliaM8 – Suzuki, Honda, D.. 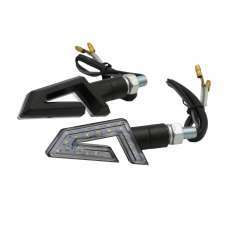 Select the type of your motorbike + color of the lever’s body and adjuster.If you do not find th.. Select the type of your motorbike + color of the lever’s body and adjuster. ​​​​​​​ If you do not ..
✓ SEQUENCE FLICKERING ✓ LED TECHNOLOGY ✓ SMOKED G.. The vest is specially designed to fit perfectly on the moto overalls with an aerodynamic hum.. The vest is specially designed to fit perfectly on the moto overalls with an aerodynamic h..